Choosing an automated door to protect your garage can be dictated by a desire for convenience. 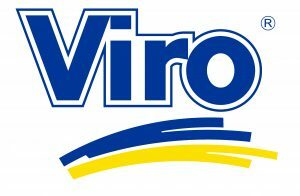 However, it should be emphasised that convenience is not always synonymous with security and that the presence of the motor in the automated door does not guarantee the security of our goods. And here, sometimes, especially in this age of fast technological development, fascinated by the promise of increasingly advanced products, we forget the main purpose of doors: not to open more easily, but to make us feel secure and to defend our goods, inside our properties. Thieves and intruders, as can be seen from the news stories in recent years, often manage to sneak in undisturbed precisely through garage doors. 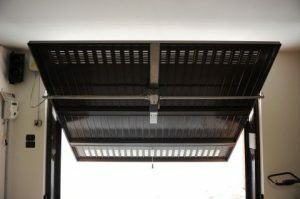 Example of motorized sliding door. Since it is not very convenient to get out of the car to open the lock of the garage door manually, possibly even in the rain, the automation of this type of door is becoming more widespread. However, if thieves find the mechanism (practically always present) for manually disconnecting the motor which is used to open the motorized door in the event of a power failure, the they are able to enter. And not only that; considering that most of the mechanical connections between the motorization and the automated door consist of metal arms fixed with simple screws, the use of a lever to lift the garage door is unfortunately also a frequent and effective method to carry out a burglary. The standard locks: are they enough? We must also remember that whilst it is true that the doors are supplied with standard locks, it is even more true that, because they are standard, they often do not guarantee an adequate level of security. Reference is made here to an article in which we talked about the right proportion between the value of the asset to be protected and the value of investing in security in order to do so. 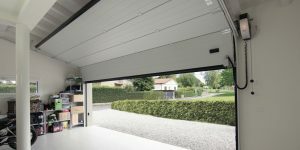 An automated garage door remains a good investment, but it must be protected in the right way. A solution which combines convenience and security finally exists and, in this case, it can be the use of a specific electric lock. 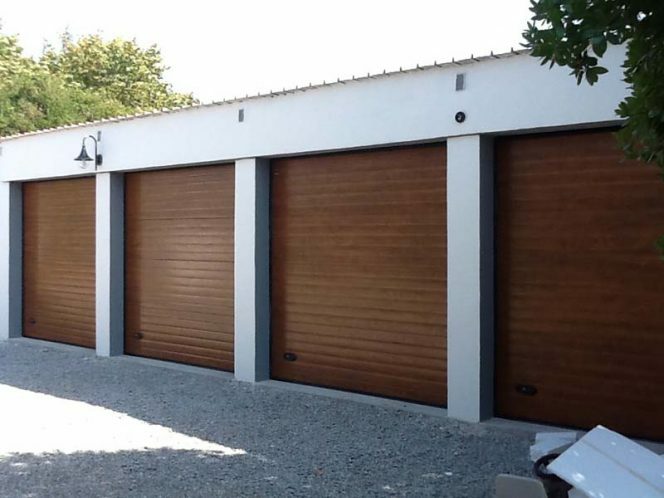 In order to best store your goods in garages, it will be sufficient to choose the one that best suits the type of door you want to protect. To protect motorized sliding doors, we suggest the V09 Electric Lock. To protect motorized up-and-over doors, we suggest the V06 and 9087 Electric Locks. In the coming blogs we will go into more detail, differentiating between the protection of sliding and up-and-over doors.